The evening starts with dinner at 6:00pm. Dinner is catered so you don’t have to bring anything. Just show up! Then at about 7:00pm we transition into a short time of worship. 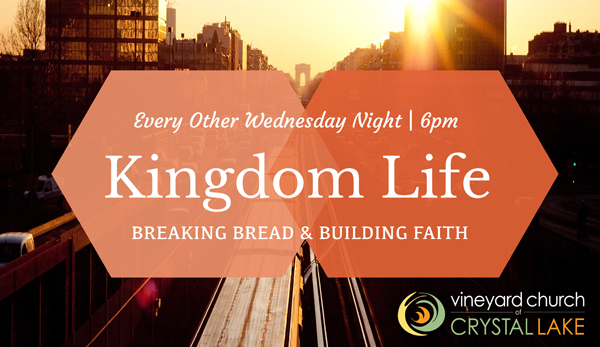 Then we present a brief discipleship based teaching and break into small groups for further discussion. It ends by 8:00pm. It’s discipleship and community all in one night!